Price Range : 13 lakhTo 20 lakh Rs/unit. 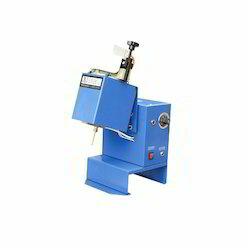 We are engaged in offering a comprehensive range of Hot Melt Applicator (Spiral), which is manufactured using high grade raw materials, sourced from the authorized vendors in the market. These can also be customized as per our patrons’ choice and are offered at market leading prices. Our range of Hot Melt Applicators is reckoned for their unique performance and reliability. Innovative Tank Free Hot Melt Applicator for the packaging industry. InvisiPac. So reliable, you'll forget it's even there. Xplore (earlier DSM Xplore). Twin Screw micro extrusion fast and flexible screening to support R&D process. It is suitable for use in a GMP environment so it can also be used for early clinical material production. The interchangeable barrel parts and screws available in 2 ml and 5 ml working volumes, and larger volumes as needed. - Up to 2 gear pumps dual or single stream for the 8 and 14 L units. - Up to 4 gear pumps dual or single stream for the 30 and 50 L units. - Support for any pump combination. 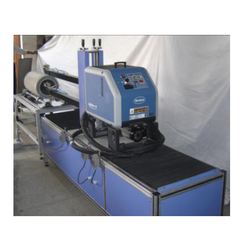 •Hotmelt Applicators are machines through which hotmelt glue is applied. 3M™ Scotch-Weld™ Hot Melt Applicator TC with Quadrack Converter and Palm Trigger. (Not to be used with low temperature adhesives). Slot applicators deliver precise cutoff and accurate dispensing in intermittent and continuous applications. A wide range of widths and body designs are available to meet individual specifications. Quick-change modules, assemblies, wheels and/or shims provide production flexibility. - Electrically heated tank capacity 10 ltrs.